Add a subtle hint of ultra-moisturising colour to your pout with the Dr.Lipp 100% Natural Moisturising Colour Lip Tint in Red Radish; a tinted balm made with just four natural ingredients that intensely hydrates lips. 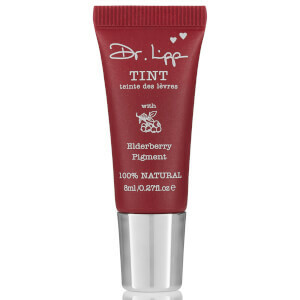 Powered by medical grade Lanolin from free-roaming Australian sheep’s wool that’s been refined and cleansed from environmental pollutants, the lip tint gets its subtle colour from edible, GMO-free plant pigments, in this case, from plump red radishes. Gliding effortlessly and evenly over lips, the natural lip balm promises to nourish dry, chapped lips leaving them soft and kissable. Påfør direkte på leppene og smør utover for et jevnt dekke. 100% Medical Grade Lanolin, Anthrocyanins, Distarch Phosphate, Glyceryl Carprylate.